Nintendo isn't quite ready to pull the curtains off its next generation Wii U, but a purported photo of the game console has already circulated on Twitter. That's according to WebProNews, which says GamesRadar found the image posted from the Twitter account of a QA tester for Traveler's Tales, makers of the LEGO game series. While the picture has been deleted, GamesRadar saved it and compared the image to a photo of the previous model. The leaked image shows a controller with analog sticks instead of the previous model's circle pads. "That's a change for the better as the circle pad on the 3DS is great for handhelds, but wouldn't feel right with a core console game that required analog sticks for twitch-based shooter titles," points out WebProNews. 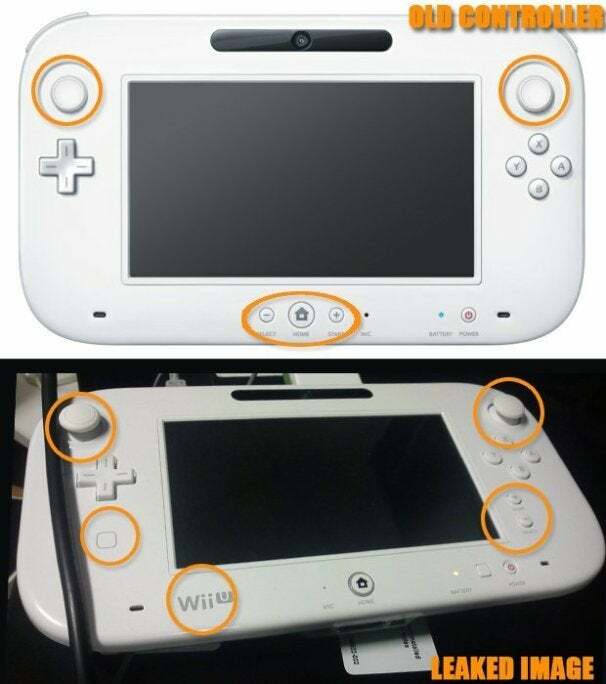 Compared to the old version, the leaked picture shows a controller with the start and select buttons now on the side instead of the bottom, small unmarked square buttons that perform unknown functions, and Wii U branding. The Wii U reportedly has a large controller that is similar to a dedicated handheld console, with a touchscreen, motion detection, and camera. Its small screen can be used in tandem with games played on TVs or it can replace the larger display entirely. It also will use NFC, or near field communication, standards that are widely used in tap-and-go train passes and other payment systems. Nintendo also is working to expand the peer-to-peer platforms of the device, which let users communicate and compete via their 3DS consoles. Nintendo will officially take the wraps off the Wii U at the Electronic Entertainment Expo, or E3, a major annual game exhibition to be held June 5-7 in Los Angeles. The highly anticipated console is expected to show up on store shelves in time for the holiday season in the U.S., Europe, and Japan.